Knit openwork adds texture without bulk; this sweater's variety of unique stitches plus gold-infused threads creates a subtle shimmer. 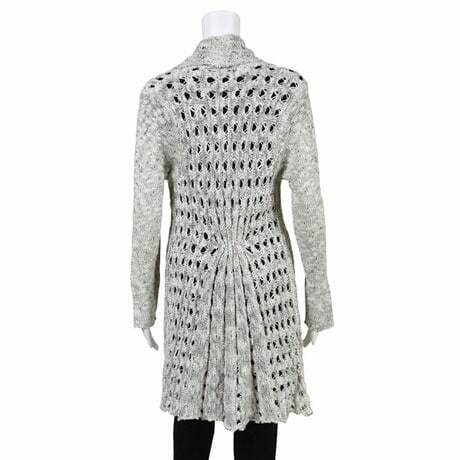 Wide collar and a single sparkling etched metal button closure, this tunic's length skims perfectly over leggings. 65% cotton/35% polyester. Hand wash. Imported. S(6-8), M(10-12), L(14-16), XL(18); 1X(18W-20W), 2X(22W-24W), 3X(26W); 34"L.